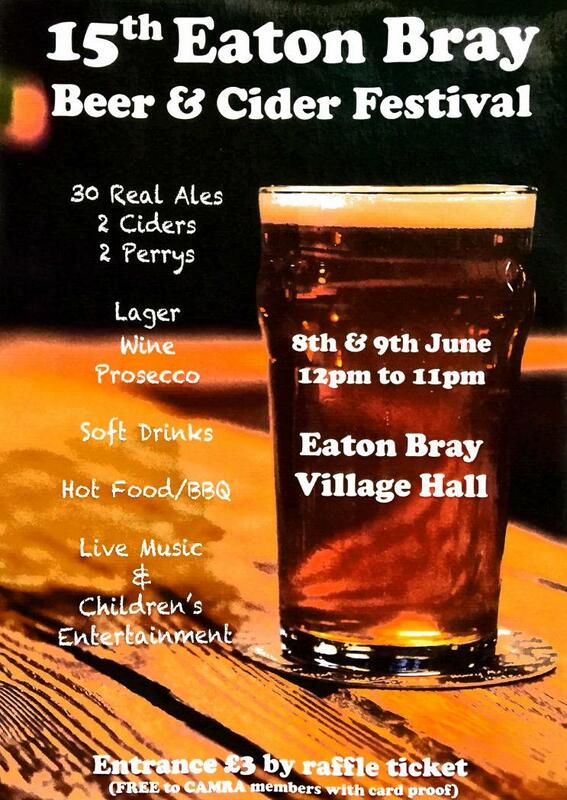 Archives of Eaton Bray News for June 2018. The next Parish Council meeting to be held at the Coffee Tavern on Monday 2nd July 2018 at 7.30pm. The full Minutes for 4th June 2018 are also now available. CBC is carrying out a Community Governance Review consultation, which is a review of local governance - this is a review of town and parish council arrangements. The proposals put forward would have an impact on Eaton Bray Parish – the Parish Council currently have nine Parish Councillors, who carry out duties for and on behalf of the parish however CBC are proposing to reduce this number to only seven, which would have an impact on the ability of the Parish Councillors to carry out their current roles. 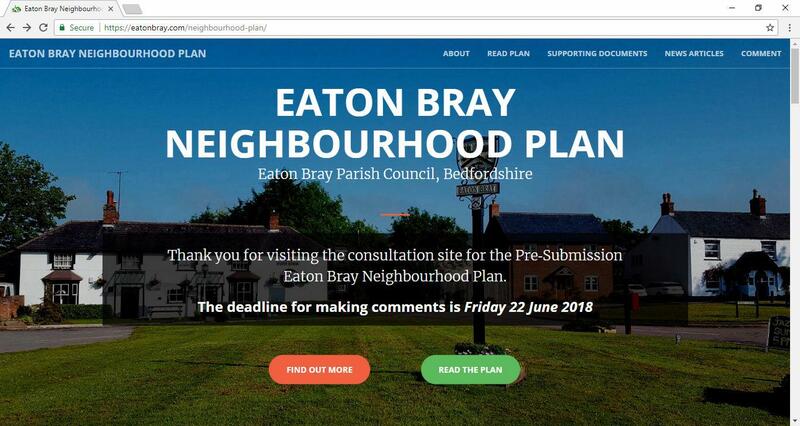 Eaton Bray Parish Council has responded to the consultation as follows ... "The Councillors raised concerns regarding the proposal to cut the number of Parish Councillors from nine Councillors down to seven. Due to the large amount of workload/duties carried out by the Parish Councillors [on a voluntary basis] they feel it is very important to maintain the quota of nine Parish Councillors for Eaton Bray Parish Council - to ensure the smooth running of the Council and to be able to give residents the help/support they need." To ensure the continued work by the Parish Council, we ask if you can spare a few minutes of you time to go onto the consultation page and have your say. The Consultation runs until the 6th July 2018. Eaton Bray will be affected on 21st June 2018 with a road closure of B489 Icknield Way to fix Joint at RAB at Harling Rd Beds county border sign. You are viewing the June 2018 archive.